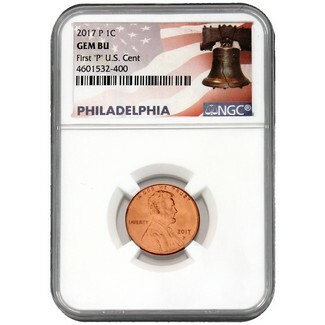 2017 P Lincoln Shield Cent NGC GEM Brilliant Uncirculated "First 'P' U.S. Cent". We're also including the official Coin Vault Studio Mug, a $17.95 value, at no additional charge!